President Sauli Niinistö has used his address to parliament to criticise international agreements on asylum. Niinistö says that current international rules on helping refugees are outdated, and the right to seek asylum has become a subjective right to come to Europe—even without grounds to receive asylum. Speaking to parliamentarians at the opening of the legislature's Spring term, President Sauli Niinistö suggested that if the Geneva Conventions were written now they’d be significantly stricter--but would still offer help to those in genuine need of assistance. The current migration to Europe threatens European values, according to the president. "Migration is a serious problem," said the president. "Europe, Finland, the western way of thinking and our values have all been challenged by it. This is a stark transformation; just a few years ago we were exporting our values and regarded them as unquestionable, now we are having to consider whether even we ourselves can preserve them." The president had entered the debate on social media over the weekend, lauding an op-ed piece in a local newspaper that talked of two extremes in the debate over migration. Most people, according to the writer, were in the middle and could see both sides of the issue. 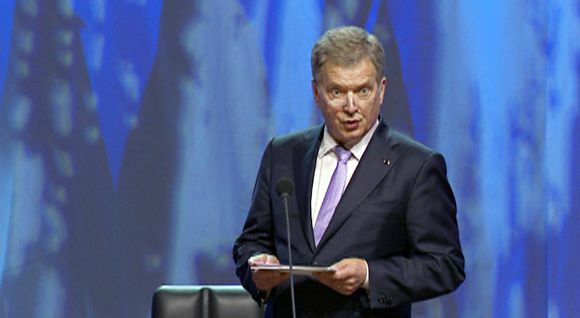 Speaking at Finlandia Hall for the official opening of parliament while the parliament building is undergoing renovation, Niinistö said that most asylum seekers were not fleeing immediate danger. "The flow of immigration into Europe and Finland is largely a case of migration rather than a flight from immediate danger," said Niinistö, who was a lawyer before he entered politics. "All estimates predict that the flow of people will increase this year. This is challenging the ability of western democracies to help and also challenging the very structures underlying the idea of Europe." "The international rules were drawn up and their interpretation evolved under quite different circumstances," said Niinistö. "I feel sure that if these international regulations, and the national regulations based on them, were drawn up now, their content would be fundamentally more stringent, while still taking account of human rights and helping those in need." "There are therefore no good options. We have to ask ourselves whether we aim to protect Europe's values and people, and those who are truly in acute danger, or inflexibly stick to the letter of our international obligations with no regard for the consequences." The president outlined what he feels must be done, saying that in order to protect European values, Finland and other countries will have to take a harder line on immigration and asylum. "First of all, we must safeguard our foundation of European values – there should be no confusion about this," said Niinistö. "Secondly, we must help those who are in distress or being persecuted. At the moment, however, we cannot help those who are merely seeking a better life or feel that their circumstances and future are difficult in their home countries." His speech was welcomed by Finns Party MPs, who said it aligned with their party’s immigration policy. 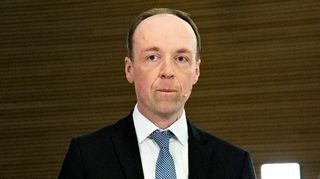 "The President’s speech was a real piece of statesmanship," the leader of the party’s parliamentary group, 38-year-old Sampo Terho, told the party's online publication Suomen Uutiset. "He wisely and broadmindedly outlined the problems facing parliament and the government at this moment. You could say that this was the most significant and the best presidential speech in my lifetime." The Finnish President traditionally handles foreign and security policy issues, with the government in charge of everyday and EU policy. The office of the president has an important role in maintaining relations with Russia, which is currently the biggest source of asylum seekers trying to get into Finland.